Galleries are cool, there are no two ways about it. Rooms full of works created by the fingertips of the creative; like I said, no two ways about it. 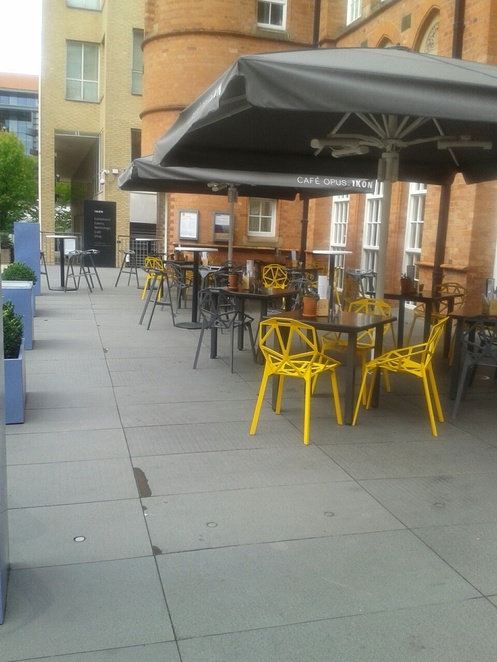 Ikon is one of those places. It's the kind of gallery you go to for lunch, not necessarily to look around, but perhaps muse over the one painting while you chew some gridded vegetables. 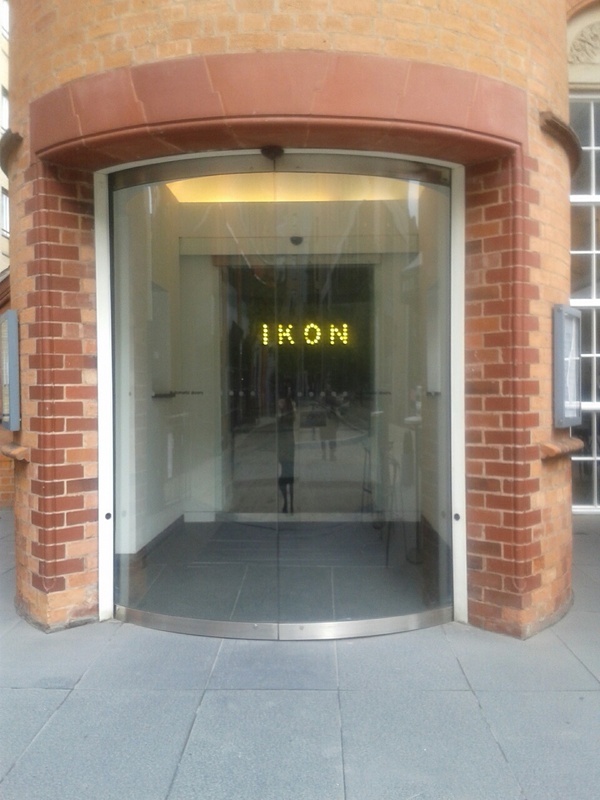 While you chow down on the high quality meat in the cafe, Ikon gallery is busy being busy; there is so much going on. 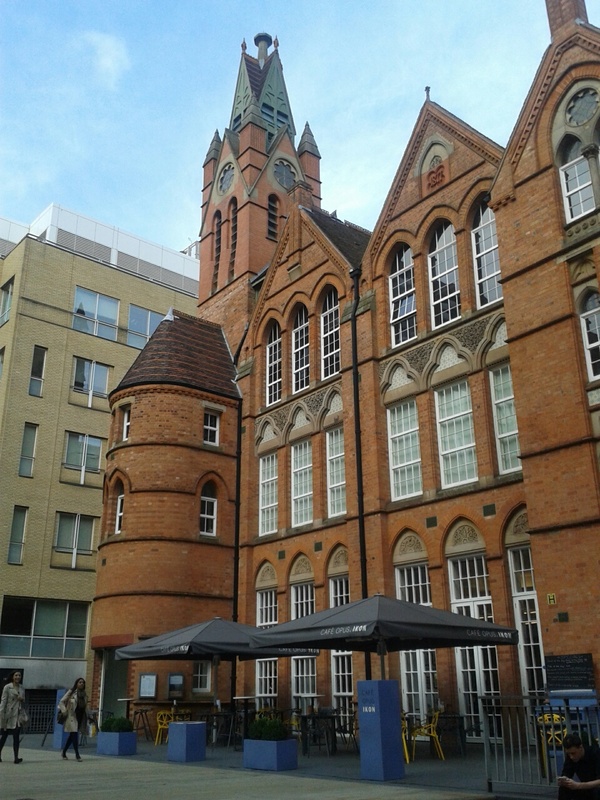 Now housed in the neo-gothic Oozells Street School, Ikon has an artistic programme consisting of four interdependent strands. Instead of being a four-walled, or ten-walled gallery, Ikon runs learning and off-site activities. Ikon have their input with numerous events such as the upcoming Birmingham Literature Festival, sxith-form talks and family workshops and art courses at seperate venues. While Ikon dips its well-sharpened nib in the diverse ink of life, I love popping in when it's quiet (early in the week around lunch time), and you can wander between the walls, pondering the why, and how. When the cafe is quiet, like it is on Monday and Tuesday afternoons, the outdoor seating area is empty, so you can sip one of the artisan-style coffees and hot chocolates in peace.